Twitter says it is testing doubling the number of characters allowed in tweets on the social media messaging platform. “We want every person around the world to easily express themselves on Twitter, so we’re doing something new: we’re going to try out a longer limit, 280 characters,” the San Francisco-based company said on its blog on Tuesday. The tweet limit of 140 characters, in place since Twitter was launched in 2006, has led to “cramming” in most languages, meaning users had to leave out words to make their messages fit. “140 was an arbitrary choice based on the 160 character SMS limit. 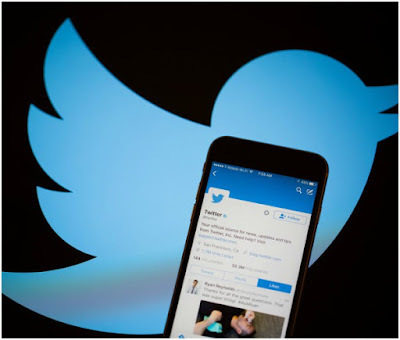 Proud of how thoughtful the team has been in solving a real problem people have when trying to tweet,” Twitter chief executive officer Jack Dorsey tweeted. The tests will be conducted in all languages except Japanese, Chinese and Korean, because these languages can carry more meaning with fewer characters, Twitter explained. Twitter hopes that with the higher character count means users won’t run into the character limit, which will make it easier to send tweets. Right now the 280-character feature is only available to a small group, and the company did not say in the blog entry when all users will be able to use it.